A journey into the heart of a large and abandoned council estate. 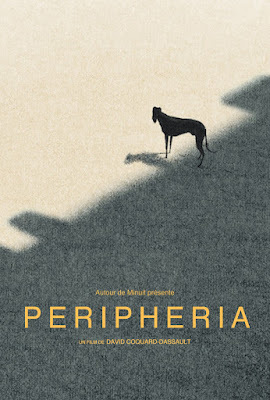 Peripheria portrays an urban environment becoming wild: a modern Pompeii where the wind blows and dogs roam, tailing the remains of human life. Winner at Annecy, Animanima, Animasivo, Banjaluka, AnimaSyrios, FICAM, Glas Animation, etc. Selected in more than 70 festivals including TIFF, Cut Out, Anima, Edinburgh, Anifilm, CurtoCircuito, Fantoche, Chicago, Interfilm, etc.